Built-in fundamentals: FortiVoice Enterprise systems include all the fundamentals of enterprise-class voice communications, with no additional licenses to buy or cards to install. Auto attendants, voice messaging, ring groups, conferencing and much more are built-in. FortiVoice systems are easy to purchase, easy to install and easy to manage, so you save the headaches that come with most enterprise phone systems. User appeal: Your people will like it, too. In addition to working with the user-friendly series of FortiFones, The FortiVoice personal web portal lets your staff view their call logs, configure and manage their own messaging and access other features. Your employees get control over their phones, and your IT staff gets a break from having to configure every little change. 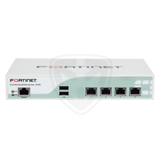 FortiVoice-VM is a virtual IP-PBX that delivers all of the features of FortiVoice Enterprise systems without the hardware. 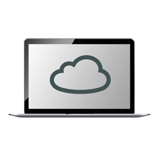 It’s the most economical way to get FortiVoice if you’re already running your own servers. And if you’re a service provider who wants to add hosted solutions to your offerings, FortiVoice-VM is perfect for you. With simple licensing, unprecedented pricing and instant deployment, FortiVoice-VM is better than hardware. Supports up to 300 IP extensions with up to 50 concurrent VoIP calls.